Loudoun County, Va. —As the high school girls basketball playoffs start in Loudoun County, one local team stands out among the crowd, while several others have proved to be potential contenders. In a two-district county, we wanted a way to put things into perspective. Enter: the LoCo Top 5. 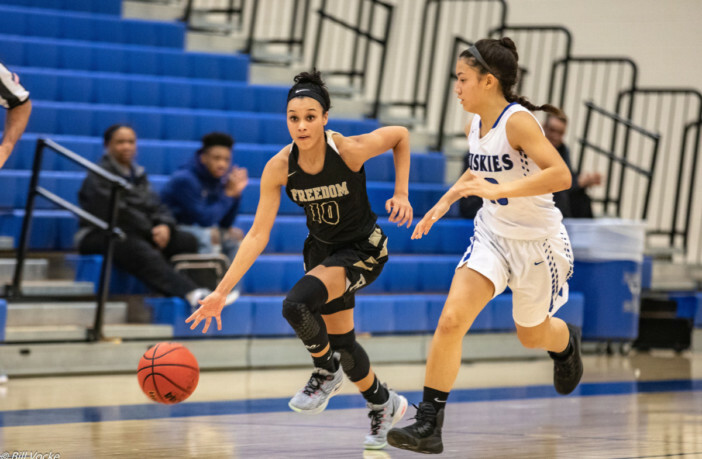 Of all the basketball teams in Loudoun – girls and boys – Freedom is the most dominant. Period. The Eagles finished the regular season at 22-0 and 14-0 in the Potomac District (same as the Potomac Falls boys). But what makes Freedom stand out even more than the Potomac Falls boys is the way they’re beating teams. The Eagles are outscoring opponents by nearly 30 points per game (29.86 to be exact) and have only played in one single-digit game all season – and they didn’t have star Jaelyn Batts in that two-point win over Tuscarora. 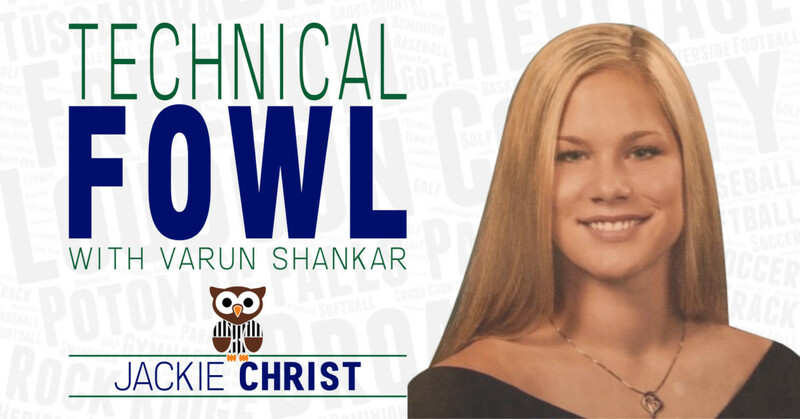 When they had Batts in their second match up with the Huskies, the Eagles dominated, 77-48. 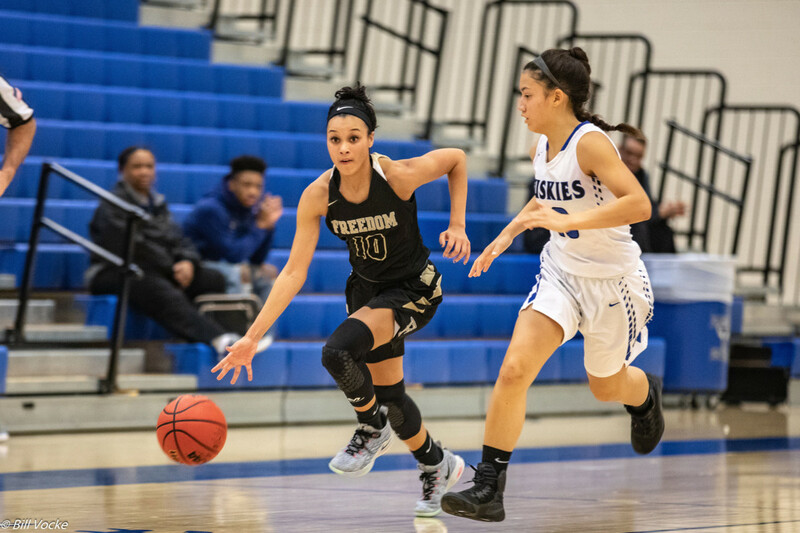 Freedom will host Broad Run in a Potomac District quarterfinal on February 11. Unfortunately for Loudoun Valley, Freedom plays in the same county as them; otherwise, the Vikings would absolutely be the team to beat in Loudoun County. Fortunately for the Vikings, they play in the Dulles District and only had to tango with Freedom once during the season. The loss to No. 1 Freedom has been their only loss since the start of 2019. Loudoun Valley is as good as they come defensively and are holding opponents to less than 40 points per game while scoring almost 60. All but one of their wins in the Dulles District came by more than 15 points. Loudoun Valley earned a bye in the first round of the Dulles District tournament and will host either Heritage or Dominion on February 13. This selection really comes down to Isabellah Middleton. The junior guard is averaging 24 points and 11 rebounds per game and has picked up 14 double-doubles this season. In a win over Briar Woods on February 5, Middleton scored 36 points and grabbed a school-record 22 rebounds. And on January 22, she joined Tuscarora’s 1,000-point club. Middleton and the Huskies host John Champe in the first round of the Potomac District tournament on February 11. Potomac Falls is one of the top defensive teams in Loudoun County, holding opponents to less than 37 points per game. The Panthers are coming off a high in their regular season finale, defeating No. 3 Tuscarora in overtime to improve on their three-game win streak. Potomac Falls is one of just four teams to keep No. 1 Freedom within 20 points and they’re the only team to do that twice. If the Panthers can get going offensively, they could make a run in the VHSL Region 5C tournament. Potomac Falls hosts Rock Ridge in a Potomac District quarterfinal on February 11. Briar Woods is on a bit of a late roll heading into postseason play, winning five of its last seven. And all five of those wins were decided by 18 or more points. Led by senior point guard Sara Duffie, the Falcons have a deep bench that could help them as teams start to wear out late in the season. Briar Woods hosts Stone Bridge – who they swept in the regular season – in the first round of the Potomac District tournament on February 11.